I used to love the hot weather, my suntanning results even earned me the nickname ‘Liquorice’ at the fire station. However now it just leaves me drained and unwell. It’s no fun being a spoonie in a heatwave! People have been complaining about the lack of sunny days this summer, however for me it’s been perfect. 17 – 20°c is good for me but high 20’s and into the 30°c and I start to wilt. Yes I do realise that six months ago I was asking for the summer to come quickly, arthritic joints leave me totally knackered every winter and I dream of summer days. Until summer when I dream of the winter! 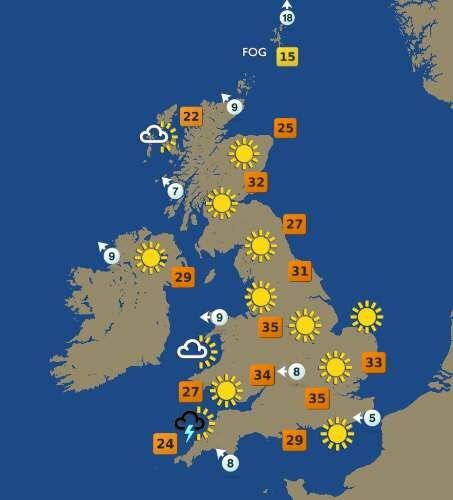 So anyway it’s hot, maybe not to people from the other countries but for us British people, it’s a damn heatwave. Whilst most people are making a bee line for the beach, people like me who are chronically ill are battling the heat, I have been laid on the settee with a 30″ fan on full power. Late yesterday afternoon my head started pounding and my wife then asked me how much I had drunk, it was then that I realised that I hadn’t drunk enough! It’s so important to keep drinking in the hot weather no matter what, but it’s especially important if you are unwell, disabled or elderly. The recommended amount is 2 litres of water for women and 2.5 litres for men and I probably had less than a litre yesterday. It’s the perfect way to make sure that you or a relative or someone you care for is getting enough fluids, it’s far too easy to fall short on hydration and this system makes it easier. 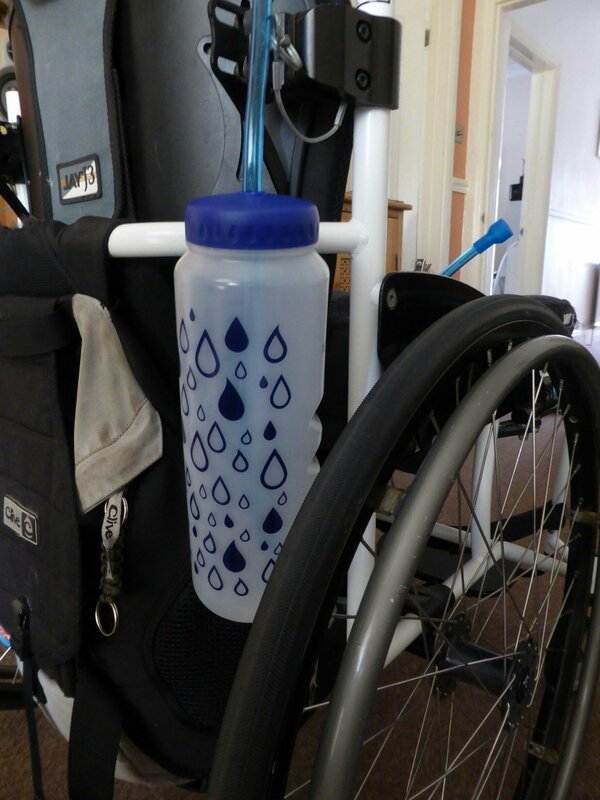 The bottle can clip onto a bed or a wheelchair and if it’s above the patient, the bite valve will just release the flow of water without having to such, that could be beneficial to someone who is weaker or has problems sacking through a straw. This bottle has been the sole reason I have drunk enough water this year, even in the hottest weather it keeps water cold for hours! So whilst there is nothing we can do about the soaring temperatures, we can help ourselves by drinking enough water. Of course many of us already struggle with constipation as many of the pain meds can lead to that and people don’t realise how seriously constipation can be. You can ease constipation naturally with yoga? I just wanted to let you know that you have won the Sunshine Blogger Award! I nominated you for your writings on disability. Your blog is informative about life with such conditions and the stresses and implications they involve. I look forward to reading more!